Motormama was born from the ashes of Motorcycle Mama, a band that survived the first decade of brazilian indie scene in the 90′s. 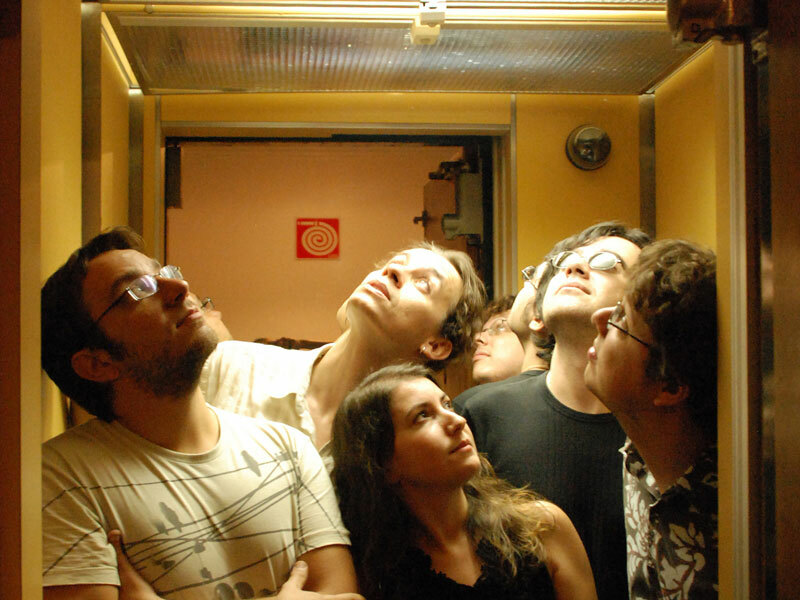 Régis Martins and Joca stayed in the band while the original drummer left. In the end of 1999, they called new friends to a new atempt, Motormama, a blend of Mutantes psychaedelia, Neil Young’s folkness and some old garage rock. A demo-CD was released in 2000 entitled Mestiço Rock ‘n’ Roll (mm55, midsummer madness). In 2002, Motormama toured the country, what is not an easy thing to do in Brazil. Cities like Belo Horizonte, Brasí­lia, São Paulo and a very important appearance at festival Bananada in Goiânia where followed by positive reviews and some fans. In 2003, they released their 1st full album, Carne de Pescoço with 13 songs. Recorded between 2001 & 2002, in their hometown Ribeirão Preto, it was printed on their own label, Kaskavel Musik, and distributed by midsummer madness. In 2006, Motormama released its 2nd album, A Legí­tima Cia Fantasma, a joint-venture release printed by Kaskavel and midsummer madness. Régis Martins (guitar, viola and vocals), Joca (bass and vocals), Gustavo Acrani (keyboards), Gisele Z. (vocals) e Ricardo Noryo (drums) delivers more 14 songs full of country a la Stills, Nash & Young soaked on Pixies’ feedback. Brazilian Rolling Stone magazine scored this album with 4 out of 5 stars. Three years later, the 3rd album came out: Aloha Esquimo, recorded again in their hometown. From this album, the music video for “Preciso Me Vingar Oh Babe” made the band expand its contacts outside Brazil and, for the first time, they played Pop Montreal Festival in Canada. In 2013 the band released a 7″ vinyl with 2 songs and participated in the 2014 edition of Primavera Sound Festival, in Barcelona, Spain. After 15 years, 3 albuns, many EPs, songs and shows, Motormama carries on, sometimes more as a friendship blender than a band, as many good groups in Brazil do. It’s our lucky that their friendship results in so many good songs. You can buy their 3rd album here. You can listen and download Motormama’s songs here. Ampslina formed in Recife (northeast Brazil) in the middle of June 1995 by a group of friends. 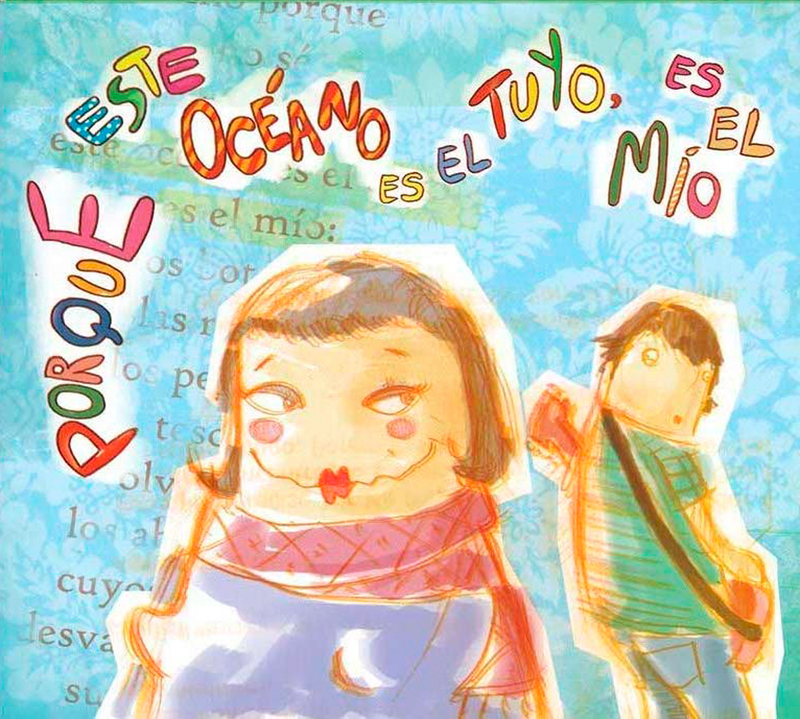 Luciana (vocals) and Alcides (guitars) met while studying Architecture at University (UFPE) . Henrique (bass) is Alcides brother, the other members were friends and neighbours invited for the adventure. In that time, Luciana was 17, Alcides, 20, and Henrique was 18 years old. The brothers used to play together since the middle 80′s but the idea of a project influenced by Mutantes happened only in University time. Later in 2004, they rejoined to play at a friend’s party. Surprisingly, some friends asked them to play their own songs. After that, they decided to reunite the band. Ampslina reborn with new purpose and formation. 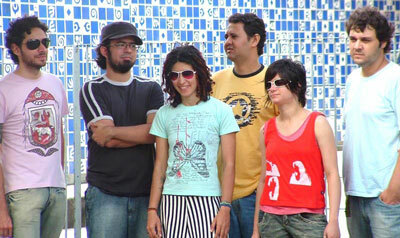 In 2005, Diego Araújo (Sweet Fanny Addams‘ bass player) joined the 3 original members to play drums and so did Lorena in violin and vocals later in 2006. The present formation was completed when Ricardo entered to replace Diego and most recently Rogério assumed programming and guitars after “Curva e Linha” EP recording. This new Ampslina are still dense, with harmonic confluence between violin and guitar, sweet voices, strong rhythms and electronic effects. After the gap, they feel themselves more mature and musically sensitive, this could be naturally perceived through lyrics and melodies of their new songs. Besides friendship, technological facilities and interfaces such as internet and recording softwares, new members with different influences and tones stimulated A&L to perform and write songs. Luciana says, “After releasing ‘Curva e Linha’ we didn’t know what or how would be the audience feedback but in fact we trusted the songs. We knew that we had in our hands the result of our differences and not simply a product of any external formula adopted for us.” Actually, there are many differences. Alcides and Henrique’s father is a popular songwriter in Frevo (a tradicional rhythmn from the northeast Brazil). Despite that, both brothers enjoy blues and classical rock. Rogério likes samba-rock and such as Luciana and Lorena also likes alternative rock. But both girls also enjoy fusions, electronic music, jazz, and so on. Kind of a Mangue Beat, ain’t that? “Curva e Linha” ‘s recording started in March 2007 at Pierre’s studio with a little help from Guilherme Gadelha on keyboards, samplers and effects. It was finished in June 2007 at Proclo’s studio with the help from another friend, Enio Damasceno (from local band Mellotrons) playing synths and eletronic effects. Diego (from Sweet Fanny Addams) helped with mixdown and mastering in a home studio. In 2008, Ampslina recorded a version of Beatles‘ “Good Night”, taken from the White Album. A brazilian journalist is compiling fan versions from brazilian bands. In 2008, Luciana left the band. Ju Orange became Ampslina new vocalist and the band build his own recording studio. In this studio they record and relaese the second digital EP entitled “Insone”. In 2010 Amsplina recorded a version for Yoko Ono’s “Listen, The Snow is Falling”, from the “Wedding Album”. This version takes part on a double tribute album called “Mr Lennon” and “Mrs Lennon” released by brazilian record label Discobertas. 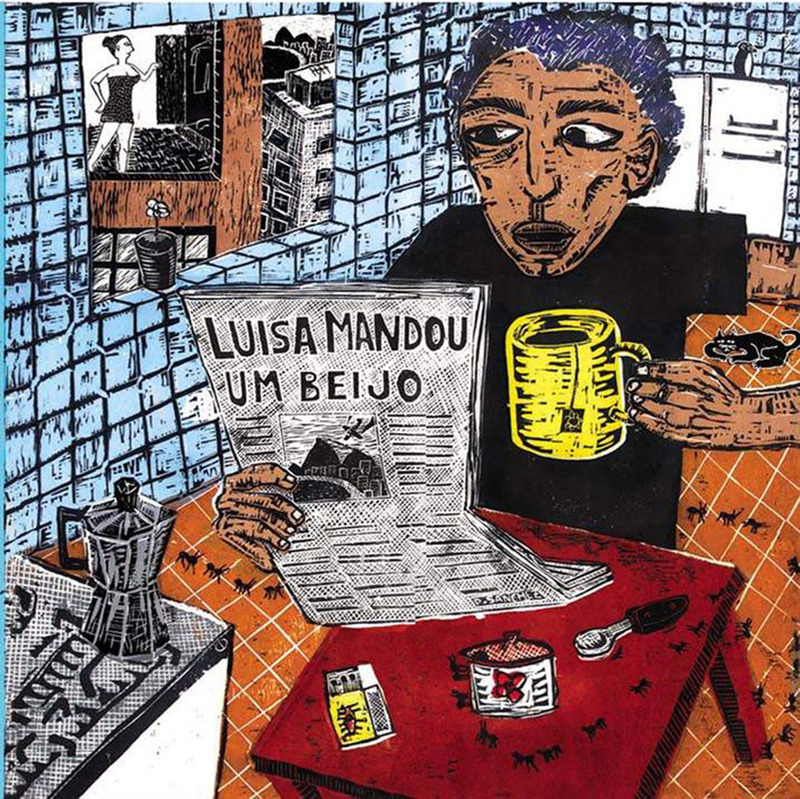 Luisa Mandou Um Beijo – debut CD with 10 songs and a version of samba-standart Carinhoso. Indie-pop with bossa nova, dadaistic lyrics. 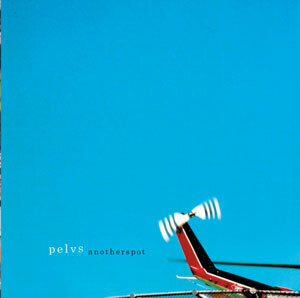 4th album by Pelvs, with 9 songs, all sung in english. Four guitars, keyboards and many unusual brazilian percursion instruments. A bit of Yo La Tengo circa “And then nothing…” here and Primal Scream’s Screamadelica there. Limited copies. 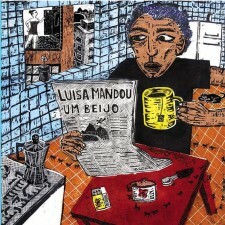 Awarded Best independent brazilian album in 2006 by No.Minimo website, Top 5 independent brazilian album in 2006 by Tramavirtual website/ podcast and 4 our of 5 stars at brazilian Rolling Stone magazine. CD Version is now sold out.